Archos Multimedia – two words that are almost synonymous with each other, as when you think multimedia player, you instantly think of Archos (and if you don’t, you really should!). We’ve put together a brief overview of the latest Archos players and recommend which Archos Multimedia player you should buy. 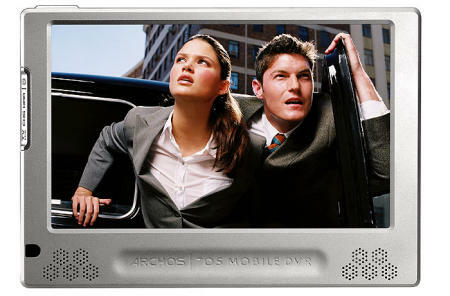 Archos are probably best known for their Portable Media Players (PMP). There’s still lots of demand for their old 04 range of PMPs, but right now it’s their 05 range that’s making waves. The baby of the bunch, the Archos 105 clearly competes with the iPod with Nano. With a tiny 1.8″ OLED screen and just 2GB of storage,the Archos 105 is best thought of as an MP3 player with a bit of video.